You are few. We know that. 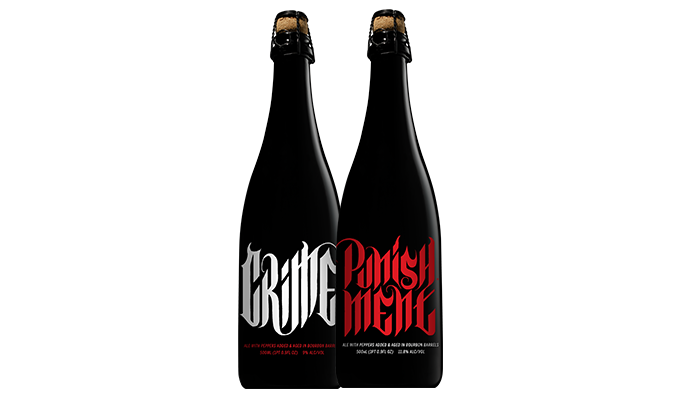 Years back, there were haters out there who stumbled upon expensive bottles of beer, one labeled “Crime”, the other “Punishment.” We made it clear right the label: these bottles contained an intense level of heat thanks to the freshly picked variety of very, very spicy chili peppers stuffed into barrels containing the beer. Still, some were aghast at the fiery burn on their tongues. Yes, they were hot, you ninnies – that’s what we said. And so you shall have it. This is for you, dear Crime and Punishment fans. This is your opportunity to self-identify. You can stake your claim to them now by filling out the form below. We won’t make you pay just yet, as the beers won’t be ready until November. We’ll deal with those mundane details later. Second chances like this are rare. Spread the news to your capsaicin-loving friends. This is your shot to bring back the burn.